Ashley Thomas is a designer and illustrator based on the edge of the Peak District. 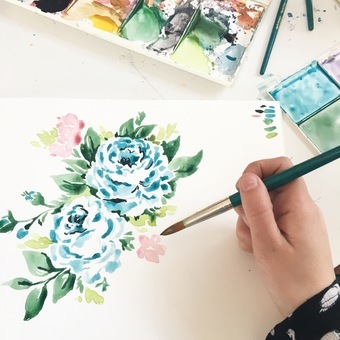 She launched her own brand of home accessories working from a design studio in her attic. 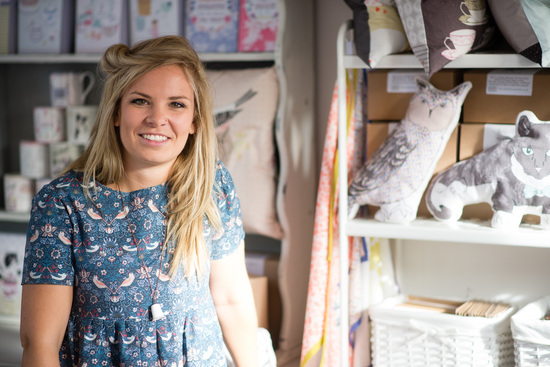 Over the past seven years her business has gone from strength to strength and her work is now available in interior boutiques, gift shops and galleries across the UK, Paris and Tokyo. 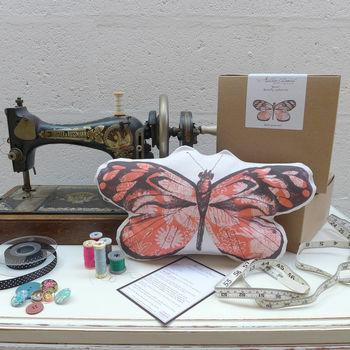 She makes a range of handmade cushions, quirky tea towels, unique cards and limited edition art-prints and wallpaper, all printed and made in England. 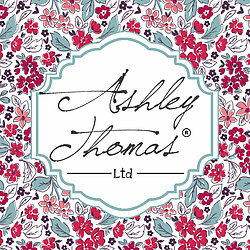 Ashley specialises in digital design, although traditionally trained in screen-printing. "It gives me much more freedom. I am not limited to the amount of colours I can use in my work and it makes my products much more affordable." "I was always drawing as a child whether it was my pets, flowers or landscapes. I was surrounded by animals from a young age, I grew up on an equestrian centre on the outskirts of London where my parents bred race horses for a very wealthy family. This is probably why I obsessively draw animals and feature them in my work. My inspiration can come from the smallest detail, such as the pattern on a vintage plate or watching the busy little birds in my garden." 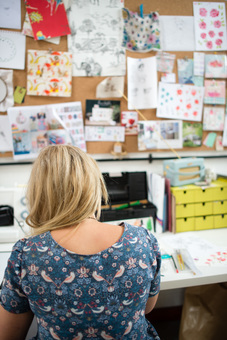 She aims to produce designs that are fun, curious and make people smile. "These are so CUTE!! I'd ordered one of each colour as I couldn't just pick one, I've got them dotted around my room. They were slightly bigger than I expected but to me that's a bonus because a lot of coasters end up being too small for some bigger cups (plus I can put my breakfast bowl on it!) they literally look like giant wooden buttons and they've got a nice painted finish." "Excellent. Fast delivery with very reasonable postage costs and just as described." "A superb company, supplying the very best of novel and useful goods." "Ashley Thomas is fast becoming a household name"
"Young Designer who is making waves on the high street-we think she's one to watch"
"Ashley Thomas' creations are full of quirky vintage charm." 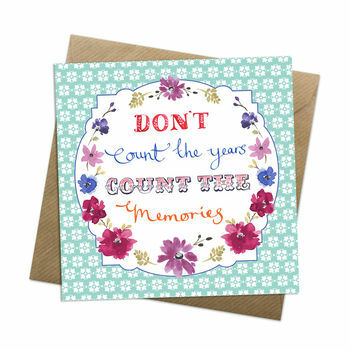 Personalised products unfortunately cannot be returned.